The internet is something we use every day, but most people don’t know some of the fundamental principles and terms behind it. The starting point for any tutorial on accessing websites is to understand domain names. What are they, and how do they work? A domain name, in a nutshell, is the address of a website, such as www.go-creative.com.au. Not every website requires the “www” at the beginning — this is up to the owner of the website to decide. Thankfully, modern web browsers such as Internet Explorer, Google Chrome and Mozilla Firefox will automatically add or remove that part as required, so you don’t need to remember it yourself. When you type a domain name into your browser, it tracks down the location of the server (a high-end computer) that is storing the website. The website is then downloaded into your browser for display. Similarly, when you send an email, the same server will work out where to direct your email. The recipient then connects their mail program to their email account, and the emails are downloaded there. A domain name is therefore the key to everything online. Does every website need a domain name? Technically speaking, no. A website can use either a domain name, or a series of unique numbers, or both. The numbers are called an “IP address”, and every computer has one. Domain names were invented to make it easier to remember website locations and email accounts. For example, you’d remember the address example.com but not http://192.748.32.10. But either your domain name or your underlying IP address will normally both work. Domains must be registered through a “registrar”. There are countless registrars through whom you can purchase a domain name (including GO Creative), however all domains are centrally managed to avoid duplicates. For example, if someone has already registered www.abcplumbing.com.au then you won’t be able to, but you could look at using a different extension (the bit on the end), such as www.abcplumbing.net or www.abcplumbing.info. 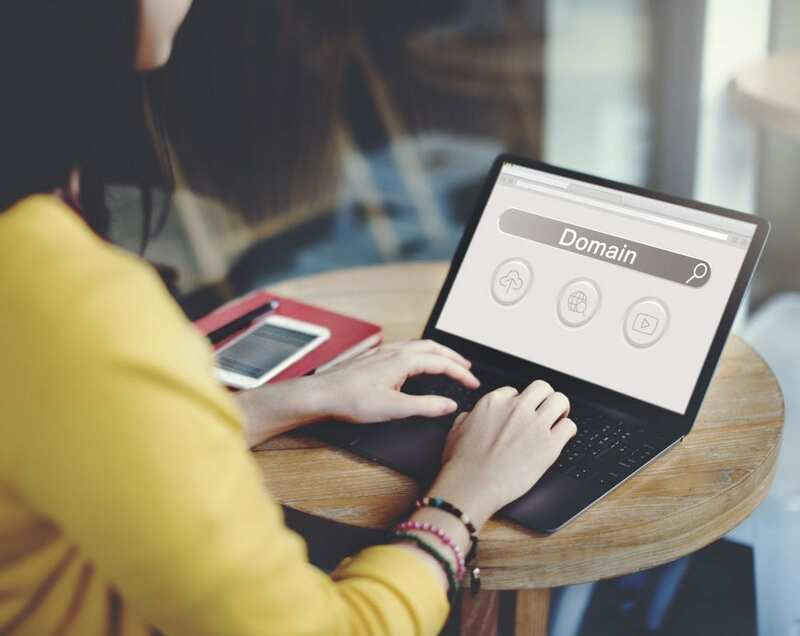 There are eligibility requirements for certain domain extensions (such as a valid ABN for .au domains), and some domain extensions must be registered for specific lengths of time (e.g. two years for any domain ending in .au). Prices range from around $30 to thousands of dollars per year, depending on the extension. All common extensions are on the very low end of the scale, though. This is just a short explanation of domain names and how you can easily navigate your way across the internet. If you need more information or would like to register a domain for your business, call us on (07) 3333 2932 or request a free quote online.